2015 NBA Finals series Cleveland vs. Golden State - who will win? ONE way or another over the next two weeks, someone will create NBA history and end a drought. It’s rare to have an NBA Finals series that involves two teams so far removed from past success, but the Golden State Warriors, which last won in 1975, face the Cleveland Cavaliers, who have never won an NBA title. In 1975 the Warriors swept the Washington Bullets 4-0 and they will be looking for a repeat effort against the Cleveland Cavaliers – who will fancy themselves a chance to finally fill the trophy cabinet. No Cleveland-based franchise has won either an NHL, MLB, NFL or NBA title since the NFL’s Cleveland Browns won in 1964 – with the Cavaliers never having won an NBA title, but never fear, LeBron is here! When LeBron James left Cleveland to play for Miami, many fans quickly turned to burning his infamous number 23 jersey in a public outcry – some even proclaiming that he should never come back. It appears that all is forgiven now as James is on the precipice of winning his third NBA title (two coming with Miami) and giving Cleveland its eagerly-awaited chance of success. 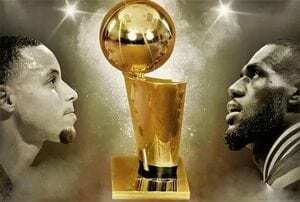 The series has been advertised as Stephen Curry vs. LeBron James and it will likely depend on how well they play, but it will be the supporting crew of both teams that will ultimately decide which team wins the 2014/2015 title. The market demonstrates the confidence punters have in the Golden State Warriors, but the $1.42 is short and the value is definitely with LeBron James and the Cleveland Cavaliers. James has the finals experience that the Warriors don’t possess and his supporting crew, especially J.R Smith, is stepping up when it counts. There’s no doubting the ability of Stephen Curry as one of the premier shooters in the league, but his lack of finals experience could be exposed on the biggest stage. The Warriors don’t lack confidence and they can quickly turn a deficit into a double-digit lead. The flow of market money has come for the San Francisco-based Warriors and the price will only drop if they win Game 1 this Friday. On the contrary, if the Cavaliers can win either Game 1 or Game 2, expect their series price to drop from $3.02 to around $2.40. The Golden State Warriors were the best team in the NBA during the 2014-15 season with a dominating display of 67 wins and 15 losses. They were 11 games ahead of both the LA Clippers and Houston Rockets, the latter of which they defeated 4-1 in the Western Conference Finals. Led by the league MVP Curry, who has broken playoff records with ease this postseason, the Warriors heavily rely on the three point shooting of Curry and fellow ‘Splash Brother’ Klay Thompson, but Thompson will need to find his groove. On face value, Klay Thompson’s 19.7 points per game this postseason might seem great, but it is down on the 21.7 he averaged throughout the regular season and his usually excellent defense has come into question. Thompson is picking up early fouls, which has put him under pressure and his defense has suffered. He is likely to be tested by the wide-bodied Lebron James, so Thompson will have to be on his best behaviour. Curry is doing what he has all season, and that’s score. The 27-year-old is averaging 29.2 points per game in the playoffs with 6.4 assists. His injury scare against the Houston Rockets appeared to have knocked his confidence a touch, but expect the MVP to come out firing in this series. 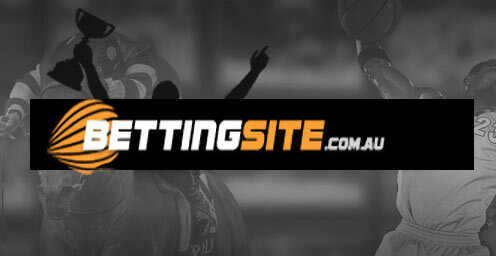 Curry is currently the very short favourite to win the Finals MVP at $1.44 with Sportsbet.com.au. The worry we have about betting the Warriors is that they lack NBA Finals experience, which more often than not plays a major factor in betting sports. They will try to counter that aspect with pure shot-making skills, which is enough to see them through, but we’d be weary of thinking they can out-muscle a tough Cleveland Cavaliers squad. 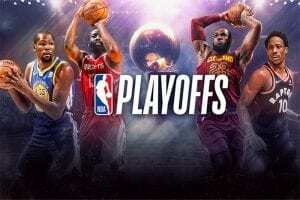 It shouldn’t come as a surprise to anyone that the Cleveland Cavaliers have made it to the NBA Finals, seeing as they opened the season as short favourites with most bookmakers. Why were they favourites? Because the young and talented Cavs’ side signed the one player who could take their talent and turn it into something. There is only so much Kyrie Irving and his teammates could do without LeBron, but their games have improved ten-fold with the natural leader taking his mantle. Their favouritism tag was taken away by the Warriors after the Cavaliers disappointing start to the season, but they have warmed up throughout the season and now look like a great chance to capture Cleveland’s first NBA title. Our worry about the Cavaliers was that they would likely need another year to gel properly (much like the Miami Heat in their first year with James), but even the injuries to Anderson Varejao and Kevin Love haven’t halted their momentum. Quality additions of Iman Shumpert and J.R. Smith from the New York Knicks have transformed the Cavaliers and they both provide good scoring threats. LeBron James will need one of them to fire from the three point line, like Smith did against the Atlanta Hawks in the last round, to compete with the Warriors from beyond the arc. The Cavaliers appear to have the more physically-dominant team, but the question is whether they can defend the three-point line. If they can, expect this series to be much closer than what some experts are predicting. In the Finals MVP market, LeBron James is paying $3.08, which is only 6 cents more than the Cavaliers are to win the title. Bookmakers are predicting that if the Cavs’ win, LeBron James is also a shoe-in to win MVP. We can’t look past the finals experience that LeBron James possesses, and he’s the best player in the league despite the MVP title going to Stephen Curry. That experience will come to the fore not only for James’ personal performance, but it will spur on his team mates that are very much hot-or-cold type players. J.R. Smith and Iman Shumpert have a very good chance to make their impression on these finals and if they can average 10 points per game, that should be enough. Australian-born Kyrie Irving has been under an injury cloud which is of some concern, but he has a talent like no-one else in the league and this is his time to shine. We think Cleveland can win either Game 1 or Game 2 in Oakland and that will set them up nicely to wrap the series up in Game 6 at home.